I have written several posts on radio communications. Now I know that some of you don’t like the idea of transmitting after or during an emergency. In addition, I know some people don’t like the idea of getting a federal license. You have to disclose the address at which you keep the radio and people can find your location from the call letters. Now for family reason I have elected to proceed with two-way long distance communication. Now for many of you this is not necessary, you may not have anyone you wish to talk too. But, what about learning what is happening in the rest of the country. I recently found a 1939 Hallicrafters Sky Champion. This radio was made from 1939-1945 and originally sold for $49.50, making it a fairly expensive radio for its day. This is a four-band receiver, covering all of the frequencies from 540 Khz to 44 Mhz. This covers the high frequency ham bands giving you the capability to listen in, but not to transmit. The other good thing about this radio is that it is virtually EMP proof. These old radios are available on Ebay and in antique stores. They are not overly expensive. If you are not interested in the older radios, you can buy a modern shortwave radio. But these should be kept in a faraday cage. The new radios will receive over a wider range of frequencies. Having a good radio receiver will provide you the ability to gather information without being detected. Remember that information may make the difference between life and death. This entry was posted in electronics, EMP and tagged Howard, radio, receiver, short wave radio. Bookmark the permalink. Pre-WW2 receivers, affectionately referred to as “boat anchors” by the ham community, usually receive only in continuous carrier-wave (Morse code) or amplitude modulated (AM) mode. Much more useful for emergency use is a modern general coverage receiver, which can also receive single-sideband phone (SSB) and either wide or narrow-band FM mode. With the limitations of older equipment, you are excluding most potential sources of vital information which can be gleaned by monitoring amateur radio, NGOs, public safety, utilities, business band, aviation and maritime sources. 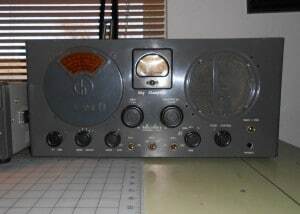 http://www.eham.net/reviews/products/8 before buying a vintage radio. Replacement tubes and components for repairing older radios are often difficult to find or expensive. 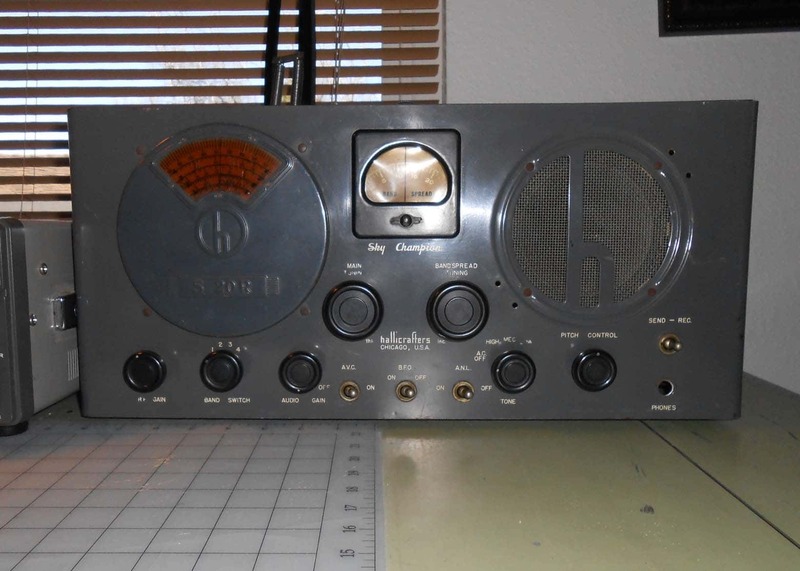 If you have the knowledge to fix old radios, you probably are a ham…. A no longer used microwave oven, with its power cord cut off close to the chassis, makes a good Faraday cage for storage of small solid-state electronics, which should also be kept in cardboard boxes to isolate them from the enclosure. I have a technician license, new from a couple years ago, and it has my PO Box on it. The FCC has never had my street address. In fact, my Novice license decades ago was also a PO Box, the town didn’t have street addresses. Thanks for the info! Is there a specific recommendation you can give for a modern radio that will pick up the frequencies that you state? I have no interest in broadcasting – only listening. The “best radio” depends upon your level of knowledge and the price range acceptable to you. Knowing exactly what you need can be bewildering. Do you need a “scanner” to monitor landmobile radio services, which can seek, store and quickly scan through hundreds of channelized frequencies and lock onto a signal? Are your local public safety services still using analog radios or have they migrated to digital trunking with frequency hopping talk groups? Can you deal with complex technology, or do you need something simple to operate with intuiiotive controls? Are you content just listening to commercial AM and FM broadcast, maybe a little shortwave foreign broadcast. Or do you want to be able to monitor HF-SSB ham or marine, digital modes, digital TV audio, internet or satellite radio, etc. http://www.aesham.com/scanners-receivers/ example listing of a major national retailer of good reputation, shows variety of models available over a wide price range, but you need to be familiar with which bands and modes, specific features are desired, etc. The Sky Champion is capable of receiving most ham and international news as well as side band. This makes it a quite functional radio for emergency use in these bands.